"The only stitching reference you will ever need, with step by-step photographs to show you how to sew absolutely everything." "The ultimate bible for stitchers." 250 techniques that show you how to sew absolutely everything-from clothes to home decor-plus 10 stylish new projects and updated information on more than 100 tools and 50 fabrics, with a glossary of sewing terminology. Whether you're sewing clothes for children and adults, making home decor, or doing alterations, master every hand-sewing and machine-sewing technique for everything from darts, tucks, and pleats to hems, fasteners, and mending, with close-up photographs and clear instructions to demystify even the trickiest techniques. 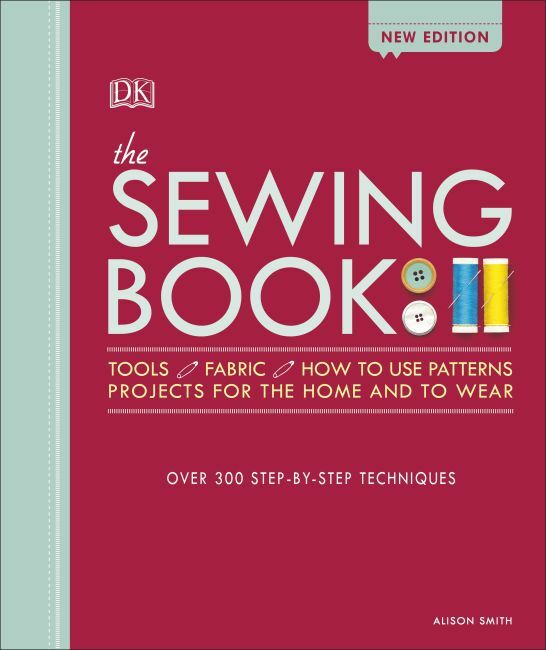 Choose from 10 fresh, stylish projects to practice your skills, explore in-depth coverage of more than 100 tools and 250 techniques, and browse an updated visual directory of more than 50 fabrics in The Sewing Book-the ultimate bible for beginners and seasoned stitchers alike.